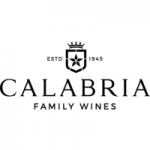 Viña Casablanca is part of the Carolina Wine Brands holding company, one of the main winemaking groups in Chile, producing and selling high quality wines to consumers all over the world for over 135 years. Owned by the Larraín family, CWB is part of the Watt’s S.A. holding company. Our vineyards began their operations in 1992 with 55 hectares in the Santa Isabel Estate located in the westernmost area of the Casablanca Valley, producing cold climate varieties and wines of excellence. Casablanca has been internationally acknowledged as a boutique vineyard since its first harvest. It is focused in small scale production of the highest quality. In 2011 Viña Casablanca and Laroche Chile – a member of the French groupAdVini – signed a Joint Venture. With this agreement, CWB and AdVini contribute the assets of Viña Casablanca and Laroche Chile to create Viña Casablanca S.A. Together they total nearly 150 hectares of vineyards in the Casablanca Valley, a winery, and consolidated winemaking philosophies. Viña Casablanca is committed to creating quality wines with a unique personality. This must be the essence of the union of three elements that are indispensable in the production of terroir wines: soil, climate, and vineyard management.